When Jane and Shane first met us during the search for their perfect wedding planners in Marrakech, they emphasized to us that they didn’t want a cookie-cutter venue or wedding, they wanted something unique and personal – a true once-in-a-lifetime desert wedding experience for guests traveling around the world to share in their celebration. 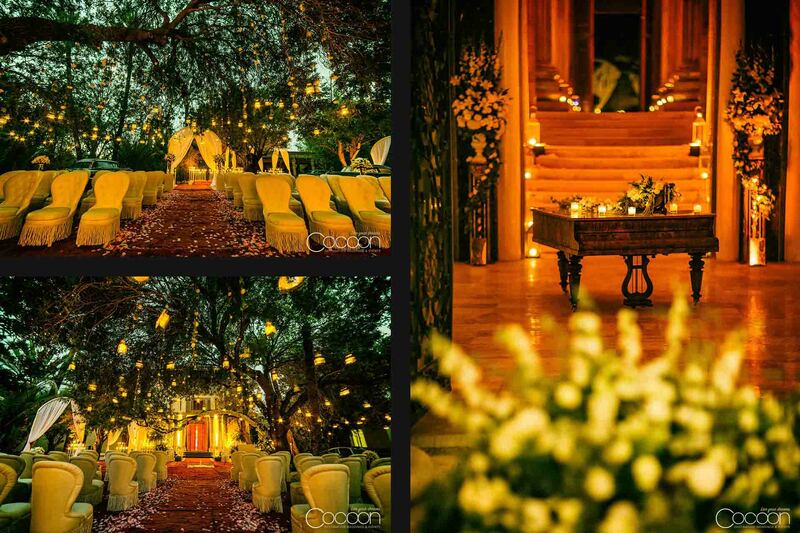 We created a magic journey for the couple and their guests. 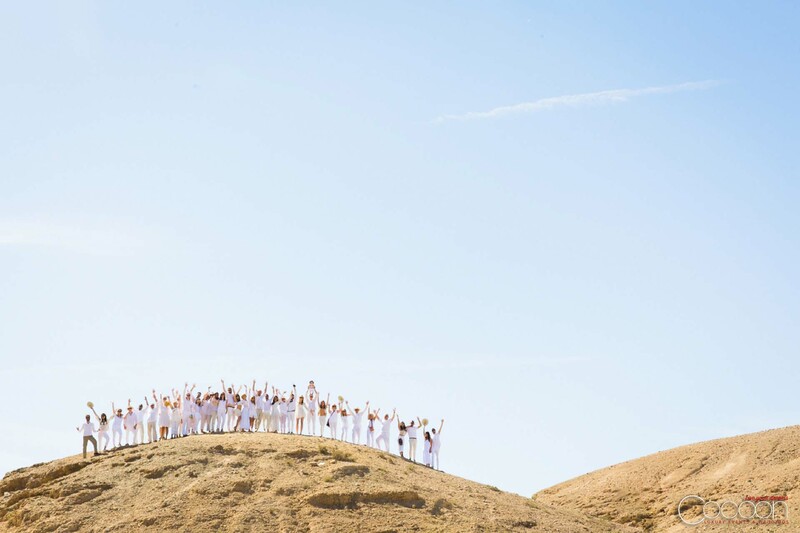 The day before their desert wedding in Marrakech, the group caravanned to a remote hotel, La Pause, for a day of fun set amidst the romantic sand dunes. 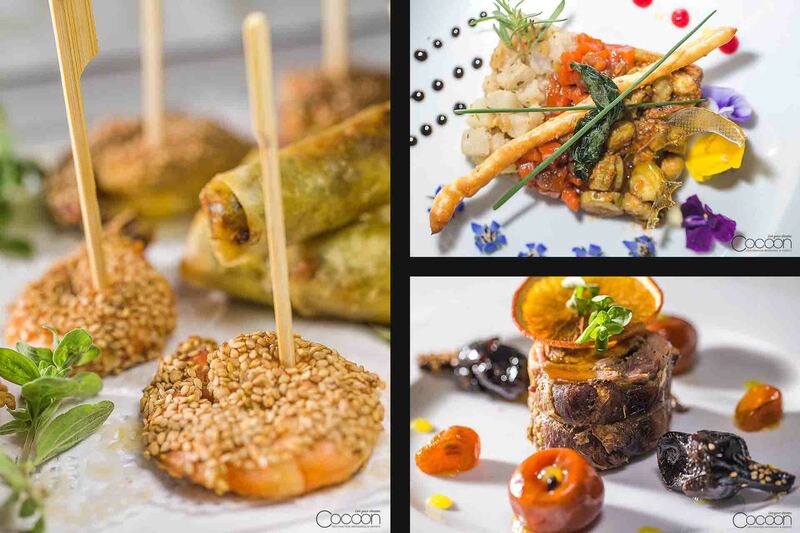 Guests enjoyed exposure to many traditional Moroccan pastimes including camel and ATV rides, and playing with falcons, then dined on a delectable meal with local flair. 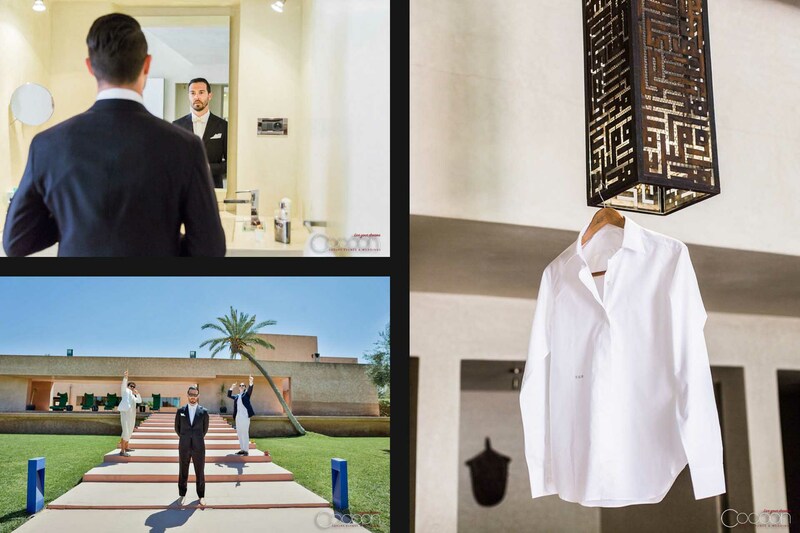 Next our team brought to life an incredible ceremony and reception at a wonderful wedding villa Marrakech has in the city, belonging to the renowned architect Aziz Lamghari. 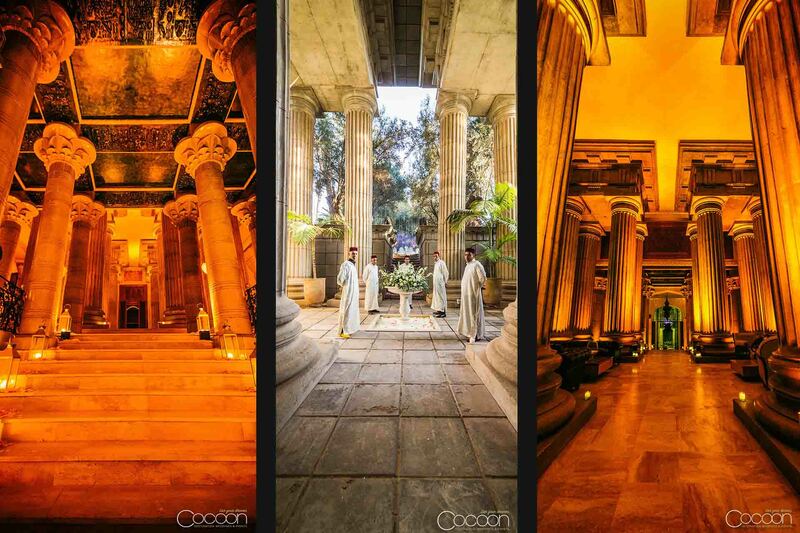 The interior of the palace offered a stunning contrast of traditional architecture decorated in bold, modern patterns – the perfect setting for the couple to hold a private photo shoot. 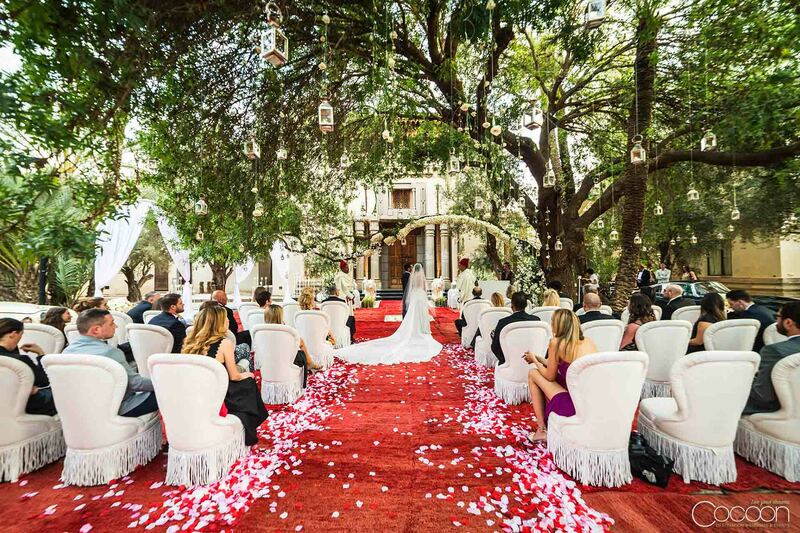 The ceremony began with a procession down an “ethereal walkway” of pink petals scattered over vibrant red Moroccan rugs. 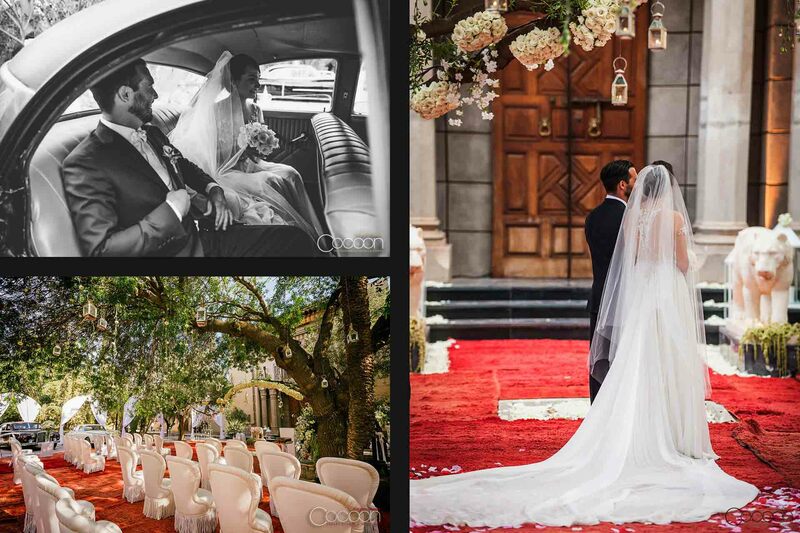 Instead of standard chairs, guests watched the exchange of vows and wedding rites from individual white settees, skirted with inviting fringe. Ornate lanterns dotted the branches overhead and a glow took over the scene as the sun began to set. 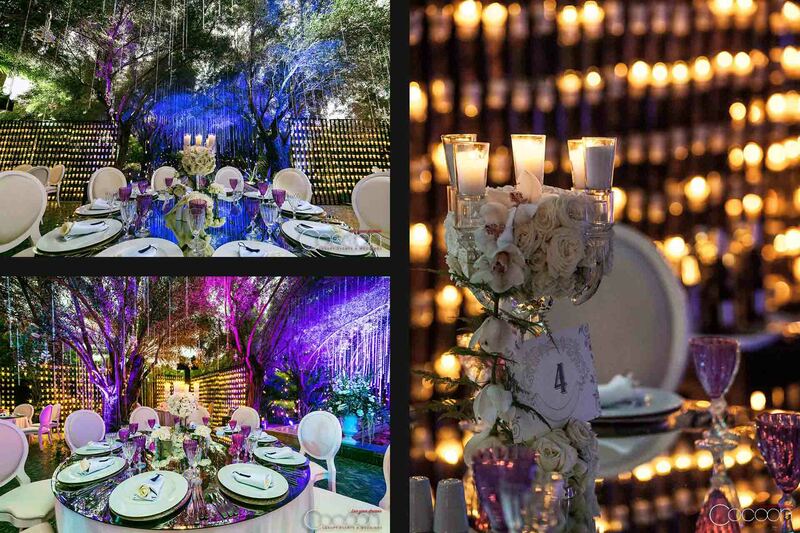 A wall of candles beckoned guest to the cocktail hour in the villa’s backyard, then to the dinner tent, with its rainforest effect of candles, crystals and flowers draping down from olive trees. 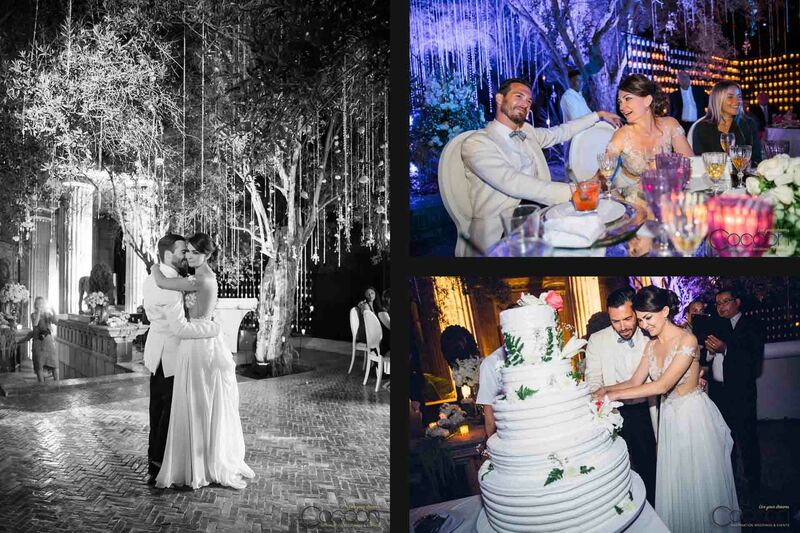 The dream Moroccan desert wedding was featured in the Wall Street Journal as an example of the rise of intimate-yet-extravagant weddings as well as in Harper’s Bazaar.